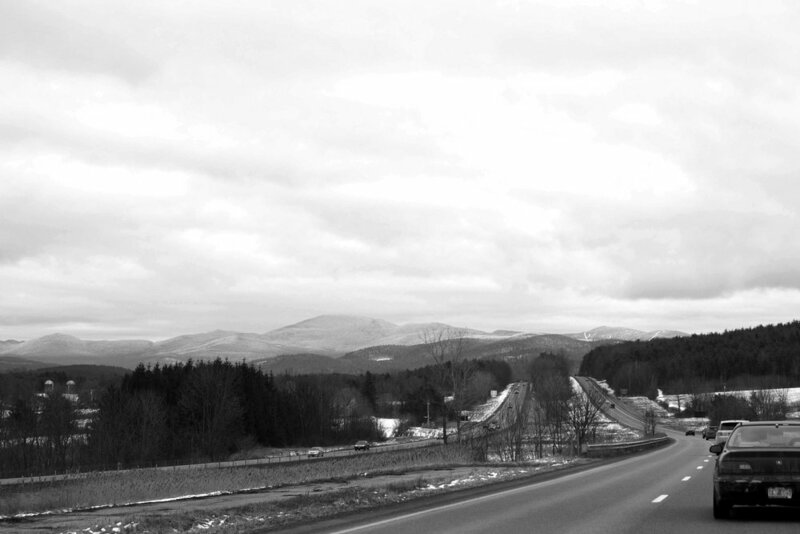 The drive into Waterbury from Burlington is a scenic one. You weave through rolling hills, straddle lively streams and dip down a small valley into town, before thinking to yourself, "This is how I pictured a small town in Vermont." Just after a roundabout and past a small bridge, you merge onto Main Street and shortly after, an old Victorian building with a hanging sign consisting of a knife + pig greets you from blocks away: Prohibition Pig Restaurant & Brewery, or just 'Pro Pig' as just about everyone in Vermont refers to it as. It's location is significant, not just to locals, but to any fan of beer who has ever chased down a coveted can of IPA–it's the former site of The Alchemist, makers of pale ale lore, with its Heady Topper and Focal Banger. After Hurricane Irene in 2011 flooded the small town (despite its roughly 200 mile distance from the coast), The Alchemist left to start a new chapter, leaving Waterbury without it's signature beer destination. Chad Rich, founder of Pro Pig saw this as an opportunity to bring great food–and beer–back into the space and help revitalize the downtown. Having opened the restaurant portion of the business in 2012, the brewery expanded into the space next door just a few years later, in part thanks to the hiring of Head Brewer, Nate Johnson. 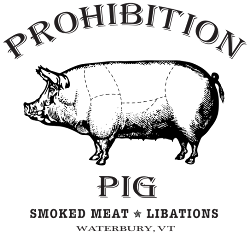 Prior to teaming up with Prohibition Pig, Johnson's brewing background was just what he'd learned by homebrewing. But having spoken to him about this jump, he credits his team, "Before this, I was a homebrewer. It was a lot of pressure expanding to such a large system, from just a homebrew system. But, I have a great support team." His humble explanation to growing as a brewer is fitting once you've spent any time in Waterbury–the town is quaint, friendly, but has that feel of something larger than its small footprint on the map thanks to its fantastic food, and of course, beer. And if Johnson's brewing skill is any reflection of Prohibition Pig's future, things're looking up. Galactic Lager – Having tasted a few different offerings across the taproom menu, this India Pale Lager jumped off the page as an intriguing style execution. Not just an IPL, but an IPL showcasing Galaxy hops, known for their distinctly citrus quality. One might expect this would overpower any lager characteristic, but instead it balanced the fruity hop bitterness with an impressively dry, crisp finish. And Head Brewer, Nate Johnson, agrees, "This Galactic Lager seemed like an interesting idea for us, so it was kinda, 'Let's figure it out.' When we brewed it, it wasn't entirely going the way we thought, but it turned out really nice. It's got these nice orange and tangerine notes up front with the Galaxy, and then it still finishes nice and crisp. Authored by Jack Muldowney of The Hop Review, with coordination from The Vermont Department of Tourism. Check out the rest of DETOURS series as we travel the world looking for unique beers and where to drink them.